Tickets for shows that had been postponed will be honored at these new dates. Should you have any questions regarding your tickets please contact your point of purchase. For those who purchased tickets for dates that are now canceled, refunds will be given at original point of purchase. Additional west coast dates will be announced in early 2013. GREEN DAY – vocalist/guitarist BILLIE JOE ARMSTRONG bassist MIKE DIRNT, and drummer TRÉ COOL – were kids from working-class backgrounds who came of age in the underground punk scene in Berkeley. Even though they had released two records prior (1039 / Smoothed Out Slappy Hours and Kerplunk), they announced their arrival with 1994’s Dookie, a dynamic blast of exuberant punk-pop that sold 15 million copies and earned the band its first Grammy® Award for Best Alternative Music Performance. Over the years, Green Day continued to top the charts with their subsequent studio albums Insomniac, Nimrod and Warning, while entertaining millions of fans with their frenetic live shows. But it was their landmark 2004 album American Idiot that launched Green Day into the stratosphere. American Idiot debuted at No. 1 on the Billboard chart, spawned five hit singles, earned seven Grammy® nominations (winning two, including Best Rock Album), and raised the bar for modern rock and roll. In 2009, Green Day released 21st Century Breakdown, which won the 2010 Grammy® Award for Best Rock Album. It spawned two hit singles: the gold “Know Your Enemy,” which was the first song ever to top Billboard’s Rock, Alternative, and Mainstream Rock charts simultaneously, and the double-platinum “21 Guns,” which earned them three 2009 MTV Video Music Awards including Best Rock Video. Green Day also took home an American Music Award for Favorite Alternative Rock Music Artist. Later that year, Green Day collaborated with Tony Award winning director of Spring Awakening, Michael Mayer, for the stage musical of American Idiot. The play bowed at the Berkeley Repertory Theatre in September 2009 and set attendance records during its limited engagement. The play went on to Broadway and ran for a year at the St. James Theatre and won two Tony Awards. It is currently touring the United Kingdom and Ireland before returning to the United States in early 2013. Green Day’s highly anticipated album Green Day ¡Uno!, the first in a trilogy of new releases, was released on September 25, 2012, followed by Green Day ¡Dos! 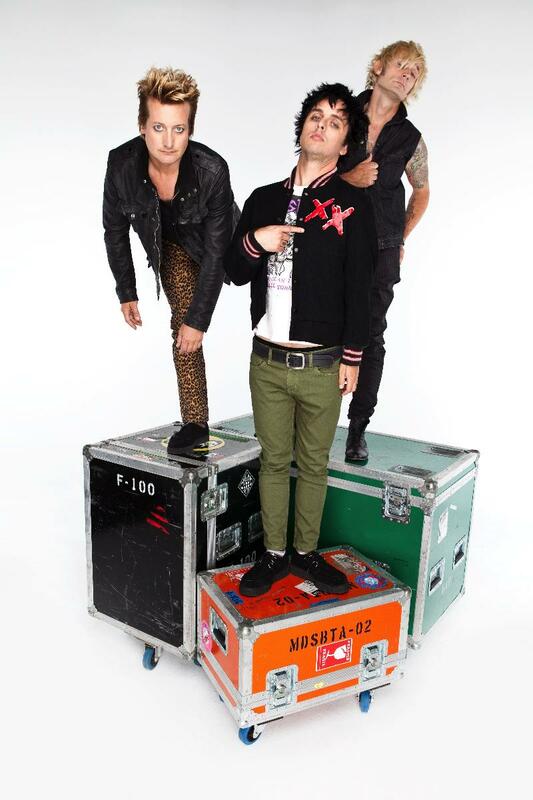 on November 13th and Green Day ¡Tré! on December 11th. For more about the band, visit www.greenday.com.